A new bakery has opened its doors in the neighborhood. Located at 88 W. Broadway in Tribeca, the newcomer is called Just Baked. This is the Polish bakery chain's first U.S. location. Established as Goraco Polecam Nowakowski in 1925 in Poland, the company hopes to open dozens of locations in New York in the next five years, the Real Deal reports. Expect to find an assortment of sandwiches and baked goods, including fresh baguettes, mini tarts and sweet snacks like raspberry finesse with mascarpone and French pastries with cinnamon. The new bakery has gotten good reviews thus far, with a four-star rating out of six reviews on Yelp. 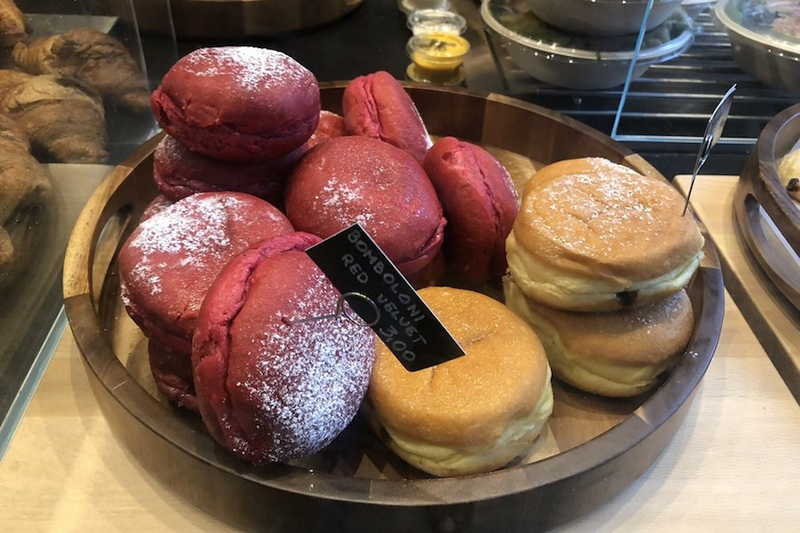 Yuki E., who was among the first Yelpers to review the new spot on Oct. 6, wrote, "I had a draft latte and brought cheesecakes home. The latte was great, atmosphere is nice and the staff is very friendly. They have a nice sitting area in the back as well." "I enjoyed the array of sandwiches and salads with interesting dressings like rosemary garlic or avocado drizzle," shared Yelper Christina L. "They also have some tempting pastries. Thus far, I had their chocolate-filled doughnut. It's delicious and I wish it came with a jam filling, too."